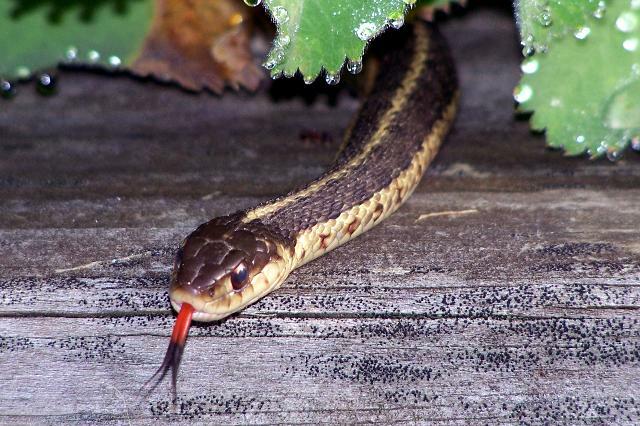 BLT board member, Shirley Ellis, took this photo of Eastern Garter Snake, or Thamnophis sirtalis. It was great timing - so fun to see the tongue in full display! Garter snakes hibernate during the winter under rocks or in mammal dens. They are the first snake to become active in the spring and are sometimes seen while there's still snow on the ground. They mate during March through May and give birth to live young (unlike other snake species that lay eggs). They eat frogs, toads, salamanders, earthworms, tadpoles, mice, bird eggs, slugs, leeches and insects. They are often found during the day in sunny spots, basking in the sun. Heat from the sun helps them digest their prey. They are active day and night and, if all goes well, live about ten years.